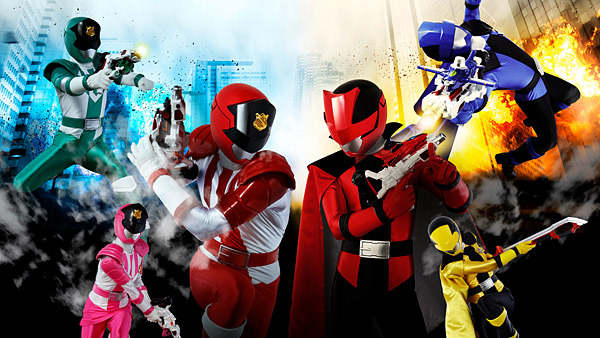 Ahead of leaks for the 2nd Quarter toy catalogs for this exciting new series, Bandai’s B-Boys site has just streamed two new full length trailers for Kaitou Sentai Lupinranger VS Keisatsu Sentai Patranger! Each trailer approaches the series from either team’s perspective and gives us some insight into their motivations as well as a first look at their full transformation sequences. We also get a solid look at all 6 of the VS Machines in action as well as the Goodstriker, and the combined Lupinkaiser and Patkaiser! 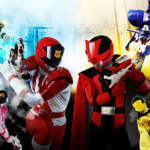 Kaitou Sentai Lupinranger VS Keisatsu Sentai Patranger begins on February 11th! Henshin device used by the two teams. Includes the Trigger Machine 1G�. Can recognize all the VS Vehicles, and contains various sounds and voices. Set of 4 VS Vehicles: GoodStriker, Trigger Machine 1G�, 2G�, 3G�. Ars�ne Lupin is a fictional gentleman thief and master of disguise created by French writer Maurice Leblanc. The character of Lupin was first introduced in a series of short stories serialized in the magazine Je sais tout, starting in No. 6, dated 15 July 1905. He was originally called Ars�ne Lopin, until a local politician of the same name protested, resulting in the name change. Lupin was featured in 17 novels and 39 novellas by Leblanc, with the novellas or short stories collected into book form for a total of 24 books. The first story, "The Arrest of Ars�ne Lupin", was published in the magazine Je sais tout on 15 July 1905. Aside from the Ars�ne Lupin stories written by Maurice Leblanc (1864�1941) himself, five authorized sequels were written in the 1970s by the celebrated mystery writing team of Boileau-Narcejac.